Soothes & calms scalp for immediate relief from itch^. All eyes are on you during that annual shareholders' meeting but is dandruff or dry scalp leaving you scratching? Air-conditioned environments can lead to the dryness of scalp and as a result it may cause dandruff and an itchy scalp. 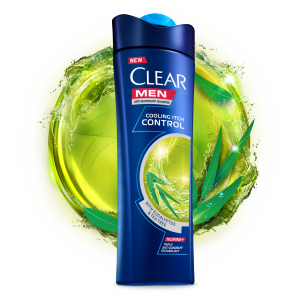 Specially made for men, CLEAR Men Cooling Itch Control Shampoo infused with Eucalyptus and tea tree, relieves itch# and soothes your scalp. 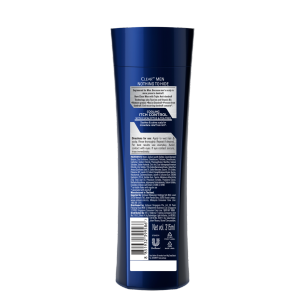 CLEAR Men shampoos are formulated with Taurine and Triple Anti-Dandruff Technology to activate scalp to remove, resist and prevent* dandruff. End recurring dandruff*, for 100% confidence'. Eucalyptus and Tea Tree are known for their clarifying, antifungal and antibacterial properties.